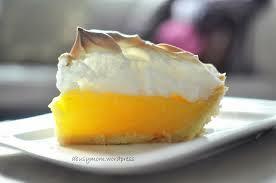 I love lemon so much that I always request lemon meringue pie for my birthday “cake”. I am even OK if you omit the meringue and the crust! For me, it’s always about the food, so I’m going to offer you some of my very favorite dishes and recipes, with a lemon twist. Kim found the site Blender Girl/Healthy Blender Recipes, and I decided to try this vegan lemon cheesecake smoothie a few years back. Since then it’s become a Sunday tradition, along with the New York Times. It is absolutely to die for. Click here for the recipe! When I was teaching in Puglia, a few years ago, at the Masseria della Zingara, we had a marvelous chef named Lelo. For one lunch, he made lemon spaghetti, which literally made me cry with pleasure. Here is a very close imitation, which is simply delicious, and only takes 18 minutes to make-so you will have more time in the studio! I use parsley instead of basil. Here is the recipe for Giada de Laurentis’ Lemon Spaghetti. My pal Anita brought this Kale salad to dinner one night, and it is so fabulous, that I could eat it three times a day. Sometimes I substitute roasted hazelnuts for the almonds. You can surely make it your own. It is from an Ayurvedic cookbook, and I don’t know it’s name. Combine kale, almonds seeds, onion, avocado and sprouts in a large bowl. ingredients together. Best if marinated at least on hour before serving.